There's no such thing as too much holiday decor! I love any and all excuse to decorate my home for any holiday- it just makes life so much fun!! 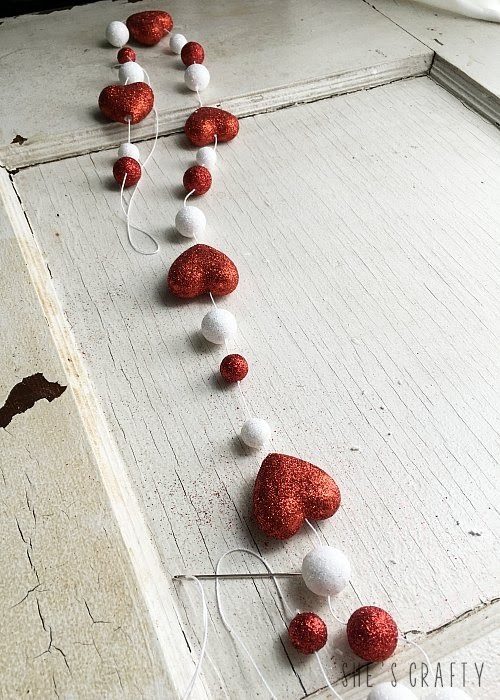 for Valentine's Day home decor. This is a very simple project- those are always the best! 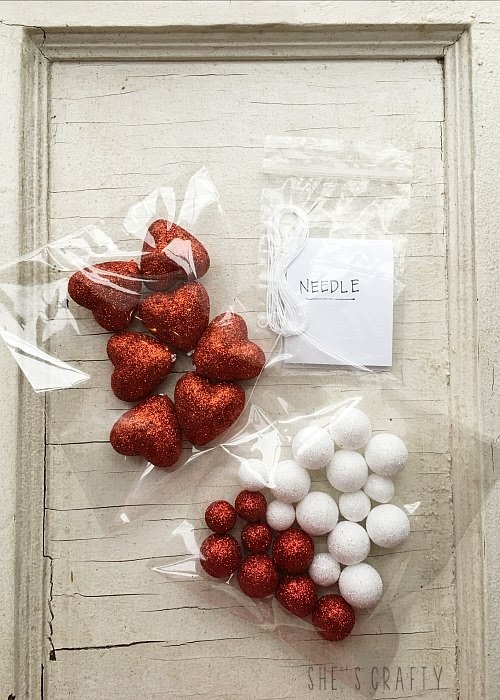 It would make the perfect decoration for your home for Valentine's Day or for a Valentine's party! Just grab your supplies and get going! It's even easy enough that your kids could make one, as long as they are capable of using a needle without taking out an eye! Watch the video for simple step by step directions to make the banner! 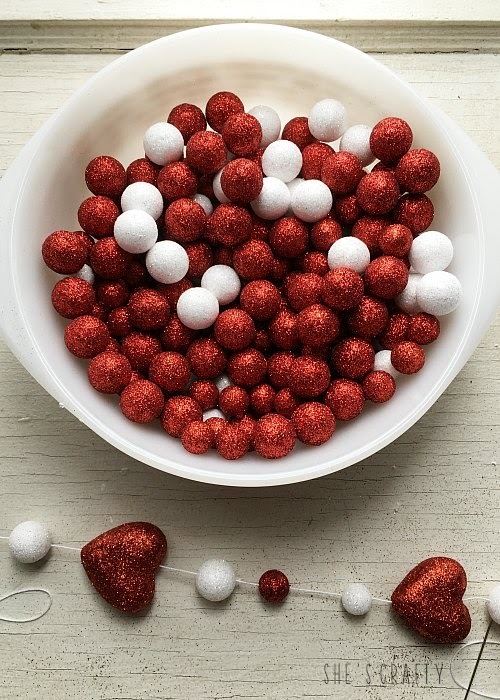 I know there are lots of people who do not like glitter. I am not one of them! Glitter is so sparkly and happy! I love the glittery touches on this banner! 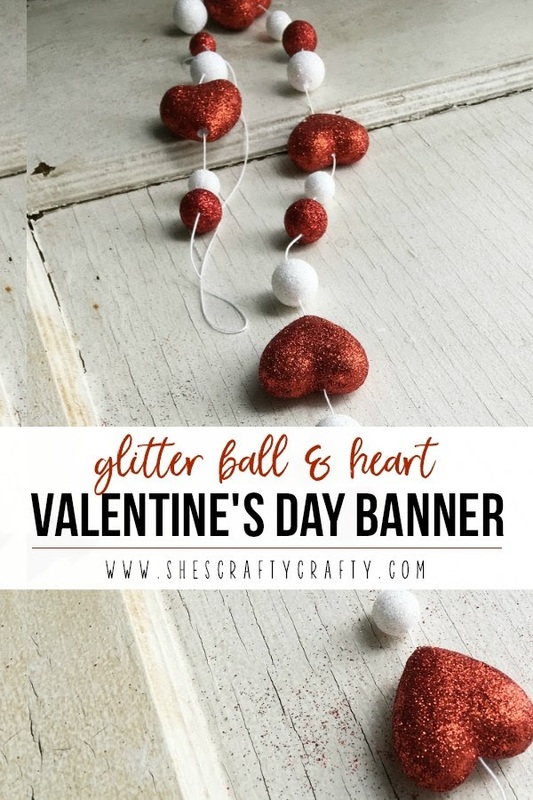 It makes such a sparkly and happy Valentine's Day banner! 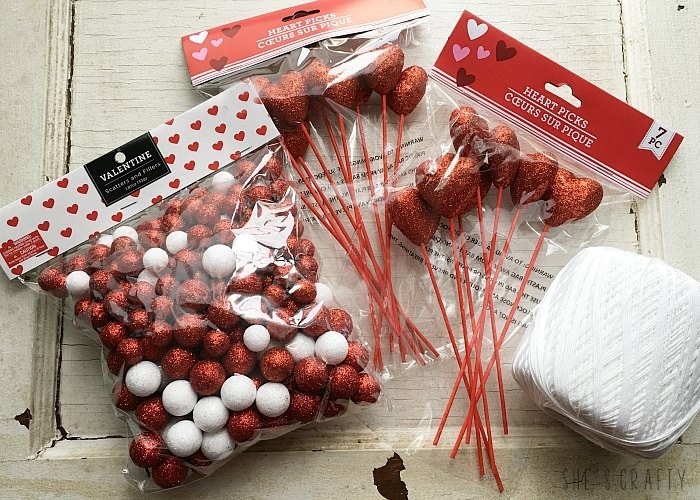 I have several kits put together that have all of the supplies needed to make this 5 foot long glitter ball banner for $6 + shipping. 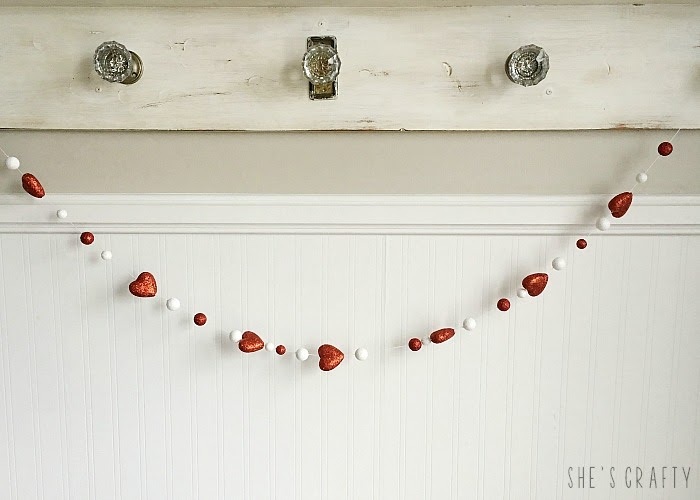 Such a sweet garland, and so many fun options you could do with this! Thanks for sharing at Homestyle Gathering! Hope to see you again this Tuesday! Hugs! Thank you Julie! I want to make a ton and hang them all over my house!